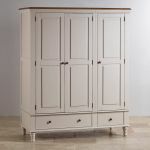 This elegant triple wardrobe brings storage and style into your bedroom. 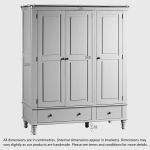 The Shay wardrobe is made to maximise space in your bedroom, with ample space for storing clothes and deep drawers too. It features both a double and single hanging area, perfect for those who share a wardrobe. 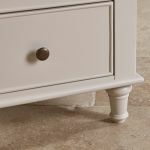 The drawers boast high quality construction, including hardwood bases, backs, and runners, and real dovetail joints for strength and durability. 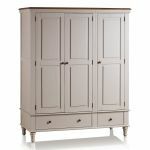 This gorgeous triple wardrobe is painted in a beautiful shade of almond grey. 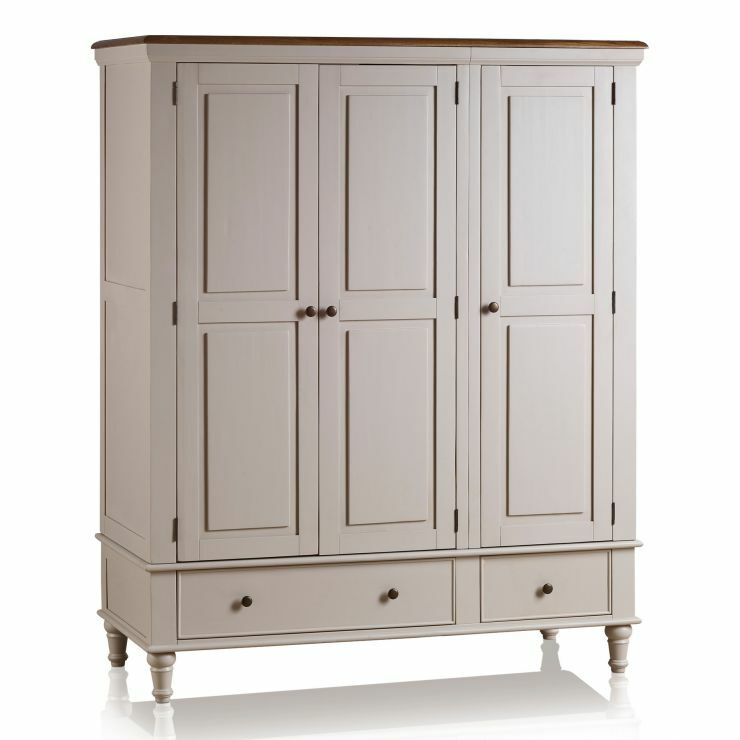 This perfectly coordinates with the stunning rustic solid oak top. Additional design detail comes from the gently turned legs delicate cornices on top, and contrasting dark metal hardware. Browse all our stunning Shay pieces today!